Debt recovery: lawyer or debt collection agency? Which is better? Everyone has to deal with the collection of debt at some time in their life, whether it be collecting or being asked to pay. Some make collecting money a living and other avoid it for a purpose. When a few calls don’t result in monies being paid to you, what’s next? Like going to see a mechanic or to get your computer fixed, you need a professional debt collection expert in your corner. But who? A debt collection agency or a lawyer who specialises in debt recovery and more importantly, collecting money. The professionalism of a reputable law firm can be an advantage to you when seeking repayment of your unpaid invoices over a debt collection agency. The use of a law firm’s letterhead can often bring immediate results of payment as the debtor will wish to avoid further action or at the very least, identify what issues prevent payment. This can result in sidestepping legal action and a saving of time and costs. Lawyers have the ability to get a business set up from the beginning of the collection process by reviewing and advising on the terms that the business provides credit for its goods and services. Poor terms can result in missed opportunities such as claims for interest and costs incurred and even worse, a loss of money. Is your business covered for registration under the PPSA? What is the PPSA? If you don’t know, then call us today, as you and your goods could be in be in for a rude shock if you continue to trade without the proper terms of trade and documents registered! A lawyer will recover monies at no commission and have the professional obligations to you as their client to advise on the anticipated cost to you for the work to be performed. Why continue to pay commission on payment instalments once the legal issues have been resolved or for withdrawing your instructions? If legal action has to be commenced, then deal with the person that you know – your lawyer. Speak with the person that you know – your lawyer. Don’t get information and progress reports passed to you second or third hand, get it from the person you know – your lawyer. 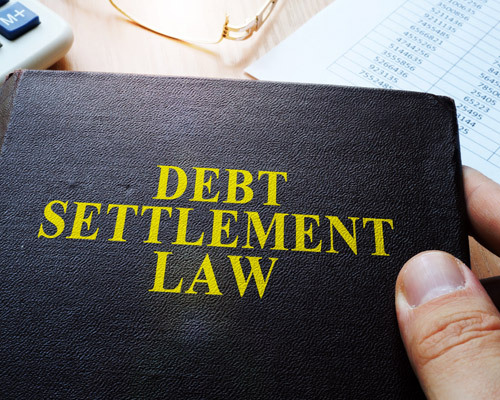 The debt collection process can be long and difficult if you are not advised properly from the outset of the options available to you and the routes that can be adopted in reply by your debtor. Your lawyer has the skills and knowledge to advise you on the court process and the pathway through the hazards that can arise in language you can understand and hearing it first-hand will always make for clearer reception. It works the same when you are being pursued for money. If you don’t owe the debt and the collector won’t accept or respect your position, you need a professional to act for you and advise you properly as to your rights and responsibilities. Do you understand the terms of trade that you have signed? Can any term be avoided? Were the goods or services provided as requested? Getting proper advice from your lawyer from the outset on your position can save you time and money in resolving a claim quickly and efficiently.